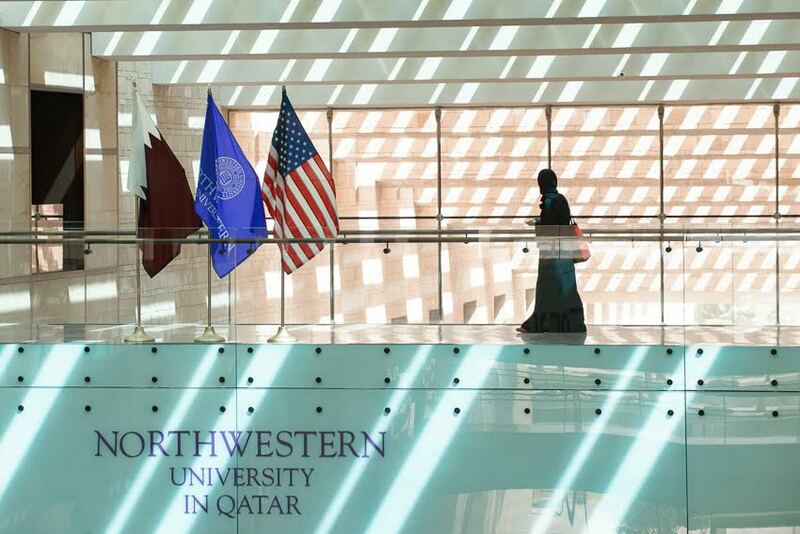 Doha, Qatar: Northwestern University in Qatar’s (NU-Q) first online version of the Arabic for Media course has enrolled nearly 300 students since its launch in August this year. The course, Arabic for Media, Linguistic Choices by Media Professionals, was adapted into an online version by Mounir Ouanaimi, an adjunct lecturer at NU-Q. It is designed for Arabic-speaking media professionals and students, who seek development courses to strengthen their professional language skills in the workplace. “The course was introduced to provide an additional educational opportunity to Arabic speaking media professionals in the region. Its purpose is to examine the linguistic implications of language used in the local media. The course’s rapidly increasing popularity stresses the need for additional specialized courses, and Northwestern recognizes the importance of continuing to provide such opportunities,” said Everette E. Dennis, dean and CEO. The creation of the online program was funded by Northwestern’s Office of the Provost and Faculty Distance Learning Workgroup. The goal is to support projects that encourage student learning through the innovative use of technology. Approximately, 50 percent of enrolled students have a master’s degree, while the remaining half have doctorates, and all are employed full-time. The nationalities of students enrolled in the course range across five continents, including South America and include: Qatar, Jordan, India, Turkey, Russia, Morroco, China, and the United States. The course, while expected to help students improve their Arabic language proficiency, requires an Intermediate High proficiency level of Standard Arabic (ACTFL) or Arabic B1 (CEFR). It will benefit anyone who is interested in language and media. NU-Q encourages its students who will live and work in the region to master Arabic to work professionally in the region. Since 2010, NU-Q has offered its Arabic speaking students a similar course that is taught in the classroom. The university developed the course to provide students with a deeper understanding of the linguistic properties of media output and to guide students in the process of using this understanding in the real world. Touching on subjects such as sociolinguistics, critical discourse analysis, and translation, the course adds to a student’s expertise in the real-world as they craft and produce meaningful stories.